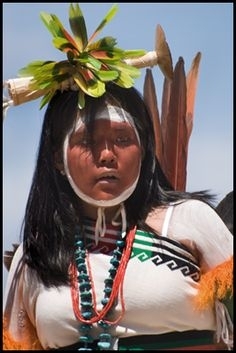 The Southern Tiwa are a Native American people of related Tanoan pueblo peoples in New Mexico. They traditionally spoke a Tiwa language (although some speakers have switched to Spanish and/or English). They are related to the Northern Tiwa who are located in in Taos Pueblo and Picuris Pueblo north of Santa Fe. The Southern Tiwa are located in Isleta Pueblo and Sandia Pueblo, both in the Albuquerque metro area. During Powwows they perform the Sun Dance. The Sun-moon dance lasts for a period of four days in which participants dance backwards and forwards to a ceremonial tree in the centre of an Arbour. During this period they abstain from food and water. This is spiritual ceremony. The majority of Southern Tiwa are either Roman Catholic, adhere to traditional beliefs or care more about making a living and life in the city. A small percentage are evangelical Christians. Pray God will send Christians to encounter and engage both in word and deed the Southern Tiwa. Pray God will work in the hearts and minds of Southern Tiwa to understand and experience God's free gift of grace as revealed through Jesus Christ.